I am a huge fan of monograms; I love a personalized touch to almost anything. 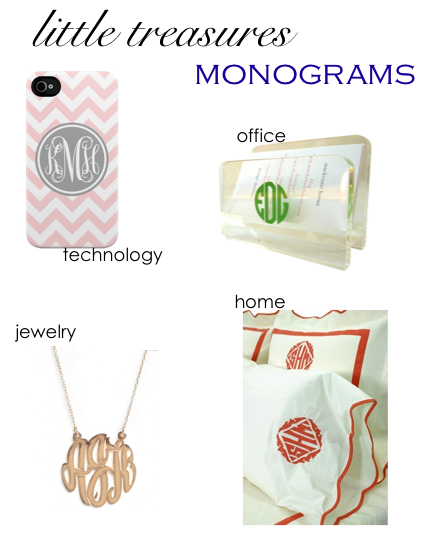 Below, I've included some of my favorite monogrammed things. There is something for everyone from clean and classic bedding to a fun business card holder. Leave a comment telling me your favorite monogrammed items. Hope you have a great weekend!